These Attractive Table Skirts are Made from Polyester Material for a Long-Lasting Fixture! Professional Environments Often Call for Custom-Printed Throws and Covers! 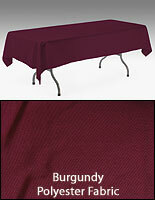 Buy Customized Table Skirts Online, As Well! Box pleat drapes add dramatic appeal to any table display. 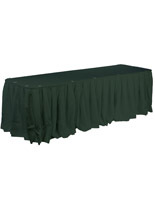 13-1/2-foot-long table skirting fits two different shapes of tables: round & rectangular. 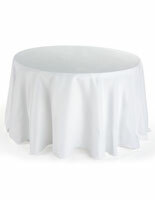 These table skirts are made from 100% polyester and are sold in a beautiful Ivory color. 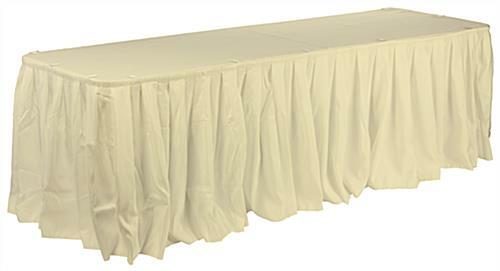 The linens are excellent for accentuating reception hall settings, as the Ivory shade and pleated style will look dramatic, without overwhelming tabletop presentations. 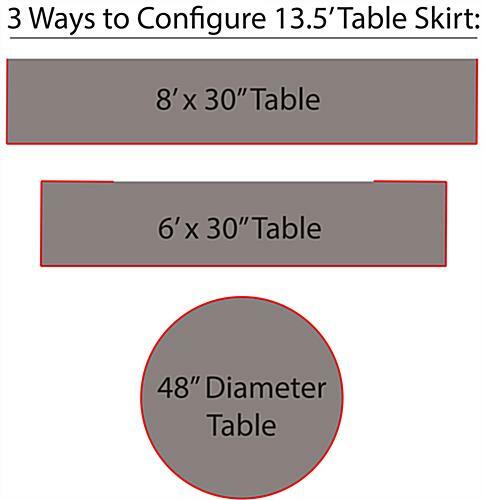 The table skirts are sold without clips and toppers, so you can custom design your own display. These throws fit both round and rectangular tables, which helps diversify the presentational capabilities. 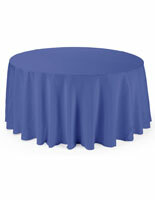 Table skirts, such as tablecloths, are more affordably-priced when you purchase instead of rent. 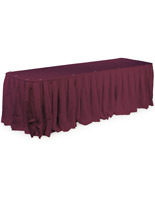 The linens transform everyday banquet halls into stunning, refined, and unified reception centers!